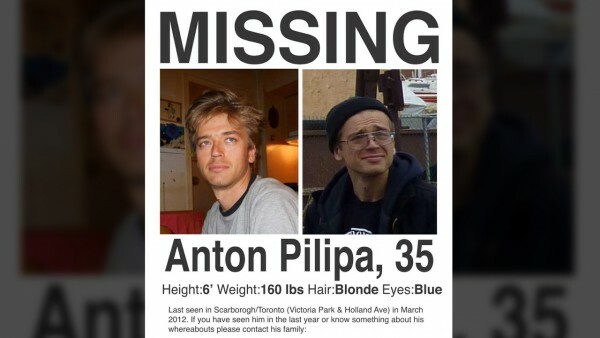 (Natural News) Anton Pilipa, a 39-year-old Canadian man from Vancouver, has been found wandering in the Amazon after missing since 2012. It has been determined that he walked, hitchhiked, and hid on the back of trucks on his journey of more than 5,000 miles that stretched from Vancouver, Canada, to Manaus, Brazil. He claims to have survived by begging and foraging for food or dumpster diving when necessary. He slept out in the open. One of the most amazing aspects of his journey is the fact that though he was found without a passport or identification of any kind, he somehow managed to pass through 10 borders, including in Mexico, Guatemala, Honduras, Colombia, and Panama. He was only ever prevented entry in Argentina, which is why he turned back and re-entered Brazil, where he was finally found. Incidents like these certainly shed light on why President Trump feels the need to beef up border security. Helenice Vidigal, a Brazilian-Canadian police officer, took steps to approach the Canadian embassy in Brazil to try to determine Pilipa’s identity, and her efforts paid off. Pilipa’s family were contacted via social media, and they were able to arrange to be reunited with their loved one. Kind donors provided $12,000 for Pilipa’s brother, Stefan, to fly down and collect him, and to help Pilipa get back on his feet when he got back home. According to the family, Pilipa has mental health problems and was diagnosed with schizophrenia before he disappeared. Schizophrenia is normally treated with anti-psychotic drugs, which have severe side effects, including emotional numbness, tiredness, tremors, and excessive weight gain, among others. Schizophrenics also tend to respond well to a certain regimen of medications for a while, but then find that they stop working. A never-ending cycle of trying different medications and dealing with their various side-effects becomes the norm. It is for this reason that many schizophrenics only manage to stay on their medications for a total of about 18 months. The problem with Big Pharma’s approach to schizophrenia is that they rarely try to determine the root cause of the patient’s problems, which could include childhood trauma, a history of difficult personal relationships, exposure to chemicals and heavy metals, etc. There is evidence to suggest that digging deeper yields results. A study conducted by the psychiatry department at Hofstra North Shore-LIJ School of Medicine, and published in the American Journal of Psychiatry, found that patients whose drug regimens were reduced by between 20 and 50 percent, and who then underwent intensive one-on-one talk therapy and received consistent family support, made great strides towards recovery within just two years, unlike control patients who were only given their usual chemical medications and showed very little, if any, improvement. Another study, led by a research team out of Massachusetts General Hospital (MGH), and published in the journal JAMA Psychiatry, found that patients whose diets were supplemented with folate and vitamin B12 showed marked improvement in their “negative” symptoms, which are the symptoms that are the least responsive to conventional treatments. These two studies clearly indicate that just subjecting people with mental illnesses to chemical medicine regimens is not the answer. The best results are achieved when the cause behind the symptoms is searched for and addressed. Let’s hope Anton Pilipa hasn’t found his way home only to end up being locked in a chemical prison.